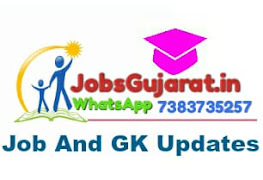 Gujarat Public Service Commission Has Published Notification for The Recruitment of Gujarat-Administrative-Service-Class-1-and-Gujarat-Civil-Services-Class-1-and-Class-2 Posts. GPSC Is Going To Conduct Preliminary Exam For Above Said Post in the month 2018. A large numbers of candidates have applied for above said post. This is the biggest opportunity for the candidates who want to be an officer in Gujarat Government.